* will only stop if requested – please email or phone to arrange. The return trip costs $25.00 child. 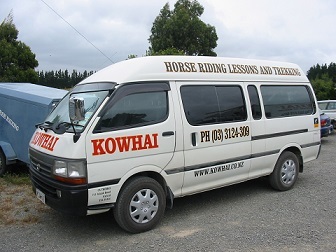 © Kowhai Residential School of Riding Limited, 711 Island Road, Oxford, North Canterbury, New Zealand.